The underwater range of optical sensors is often compromised by water turbidity. 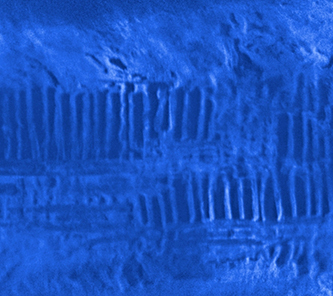 We have developed a mosaicing pipeline tailored to the characteristics of forward-looking sonar imagery that enables the rendering of consistent acoustic mosaics regardless of the visibility conditions. 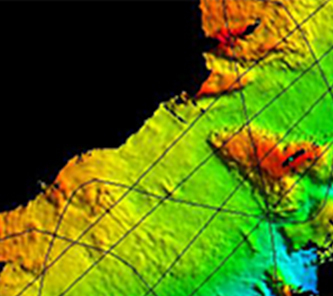 We have developed an automated system for optical mapping of the sea floor known as “photo-mosaics”. These photo-mosaics permit a global vision of large areas of the seabed in order to plan the installation of underwater structures, oil rigs, underwater sewage pipes, etc. 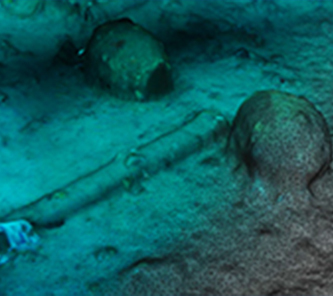 Our AUVs can produce bathymetric maps by surveying the sea floor from a low altitude. 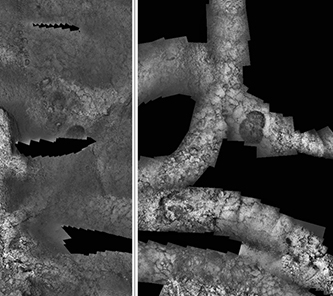 This software has been created to visualize large-scale photo-mosaics with low computing power. This enables virtual navigation across areas of several square kilometres with a pixel resolution of up to one millimetre per pixel.